Sandra E. Henderson has spent the last 20 years developing health and life strategies that have become very high quality processes she uses to assist groups and individuals in meeting their unique and individual insurance needs. She now serves as the Vice President, Insurance Solutions Division of Plan Financial. 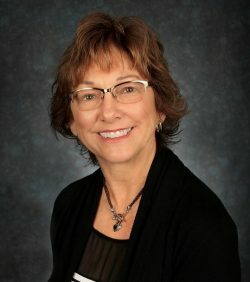 Sandy received her Associate of Arts degree in Liberal Arts from Fresno City College in 1977, received the status of Registered Health Underwriter from the American College in 2001, and became a registered Certified Senior Assistant in 2003. She is a past president of National Association of Insurance & Financial Advisors-Fresno and NAIFA-California. She currently serves on the Society of Financial Service Professionals Board of Trustees. She received Agent of the Year Award from NAIFA-Fresno in 2007 for outstanding service and commitment to her association and business practices. She and her staff provide comprehensive service to numerous groups and individuals in all areas of health and life insurance.